Are relationships audible? 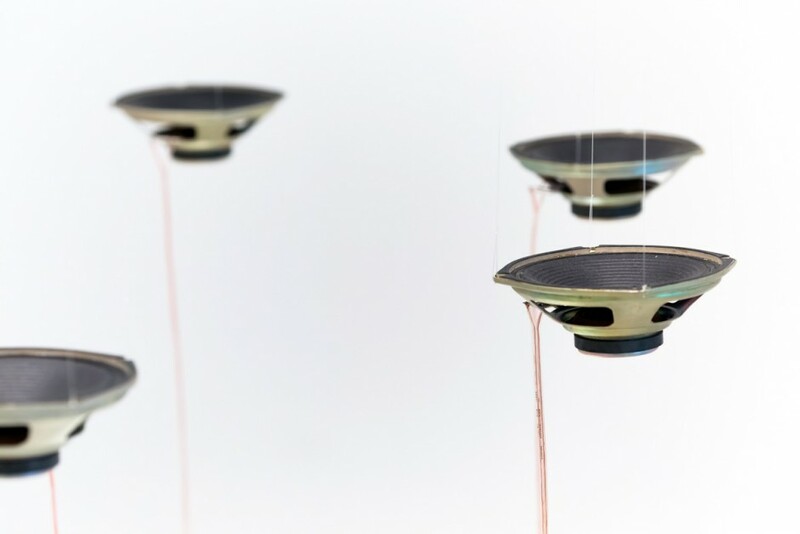 Can sound create a sense of space? Adam Basanta's site-specific installation A Room Listening to Itself explores amplified acoustic inactivity, creating a unique spatio-acoustic environment environment by subverting conventional sound reinforcement equipment. Microphones and speaker cones are situated in the space to respond to each other, creating feedback and other aural phenomena that are tuned and modified by a specialized computer software. As viewers move through the exhibition, they interrupt and change the spatial relationships, causing a variance in sound.